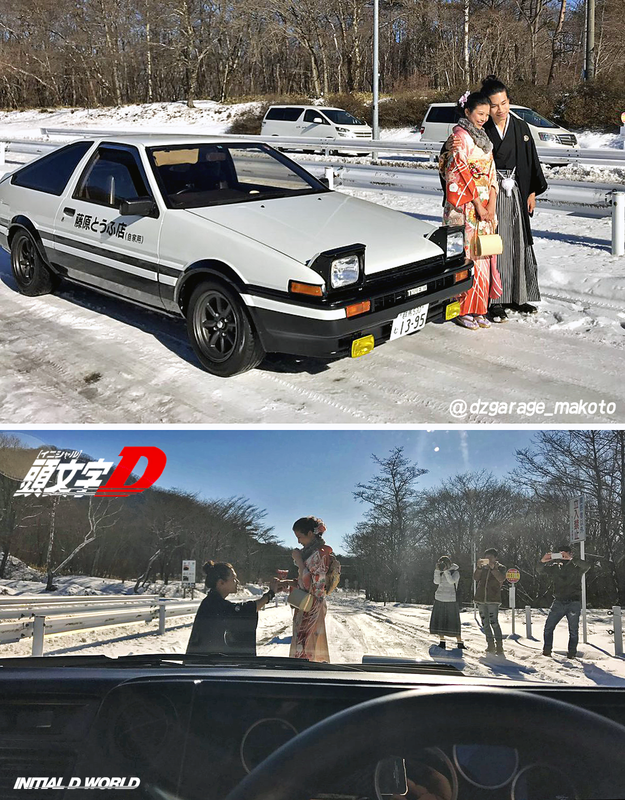 One year ago today, a Japanese Initial D fan proposed to his girlfriend in front of Takumi's AE86 on Mt. Haruna. It was the perfect moment, all witnessed by those who love them. Image size reduced, original size: 1176 x 1505. Click here to view the image in its original dimension. I read this as Surprise Initial D Welding Proposal ..